Thesis Statement: In order to preserve the enriching qualities of life that an urban forest contributes, building projects need to design with the existing trees in their site and not only integrating new ones. Post World War II we have experienced rapid population growth in urban areas, and with it our focus has been drawn away from green space to make room for incoming generations. Our cities have been slowly depleting what is left of parks and street trees that quietly reside among the tall skyscrapers and apartment complexes. Recently our governments have began to implement protection policies for the foliage after realizing the benefits of maintaining what is left of their natural landscape. However these policies hold little weight over the high demands of living within an urban context, so the rational of construction needs to develop around the existing “roots” in order to preserve the enriching qualities of life that an urban forest contributes. We are naturally inclined towards nature, if not for the intrinsic beauty it possesses, at least for the life bearing support it provides. Urban forests increase emotional health to the surrounding public by providing an escape from the built environment and invite social interaction. The aesthetic quality trees provide also has monetary value, increasing commercial office values by 7% and home values by 15% (“Local Economics”). In Portland Oregon, properties increase their worth from $3,500 to $22,000 when streets are tree-lined (Jaffe, 2012). Retail values also rise as the public spends more time and money (up to 12% more) and travel greater distances to businesses with trees. As a matter of fact, consumer ratings increase steadily in proportion to the presence of trees according to (“Local Economics”). Urban trees provide many other benefits to those living within a city: improved air quality by absorbing CO2 and other pollutants, reduced temperatures by limiting the amount of sunlight reaching absorbent materials such as asphalt, and reduced infrastructure costs by retaining much of potential flood waters (Jaffe, Planning Department). “Urban deforestation compares with what’s going on in the world’s rainforests,” Ed Macie, and urban specialists with the U.S. Forest Service stated (Cray, 2007). Cities everywhere are realizing the cost for depleting their urban canopies. One of many programs initiated in the U.S. is the Million Trees Initiative being tackled by cities such as New York, Denver, and Los Angles to plant one million new trees in order to rebuild their urban forest. Although the support for these campaigns is admirable, their efforts will not be seen for decades. It takes about 30 years before a young tree can mature into having these aforementioned benefits (Bell, 2005). A mature tree, for example, reduces pollution by over 70% compared to a young sapling (Cray, 2007). 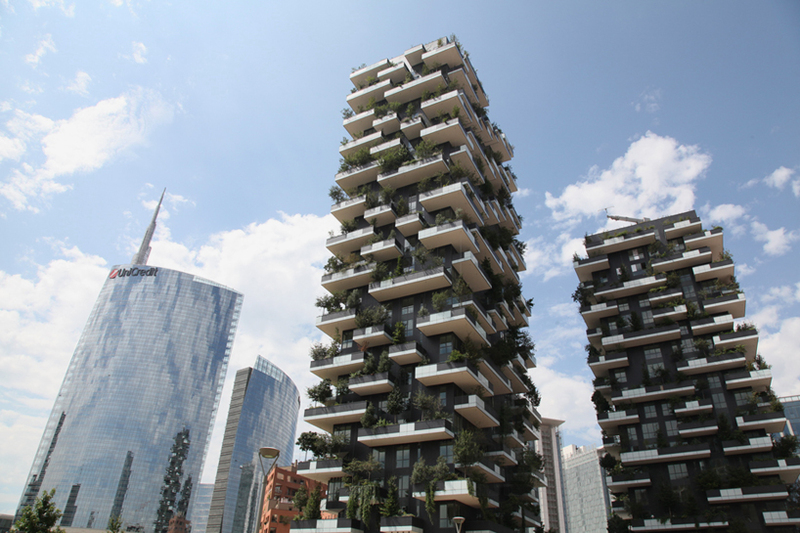 Figure 1: Bosco Verticale by Stefano Boeri, 2015. Many architects have been conceptualizing ways in which to regain greenery in urban contexts. Aspiring designs of tree cladded skyscrapers line magazines, journal entries, and green competitions but not our skylines. Just like mountaintops, the environment becomes less and less suitable for life with increased elevation. Beyond the varying weather extremes and intense winds, maintenance of green life becomes greater, and the benefits begin to outweigh the costs (De Chant). Some buildings today have been successful in implementing their sustainable designs in such works as House for Trees by Vo Trong Nghia Architects or Namba Parks by The Jerde Partnership, but the only high-rise to encase itself with trees has been Bosco Verticale by Stefano Boeri [Figure 1]. Square footage comes at a premium within city limits; being able to grow over 75,000 square feet worth of forest in a building with a two-acre footprint (if laid flat, the green space would account for one-third of the land occupied (“Vertical Forest”) makes Bosco Verticale noteworthy. These projects help to promote nature in a sprawling city but their influence on our current environment is limited even if these constructions are successful like Boeri’s design. It is inevitable that cities invade their green spaces in order to accommodate increasing populations; it can be seen throughout the history of civilization. In order to preserve the urban trees that benefit us today (while our advances in green architecture promote future growth) we must start designing accordingly. By developing around existing forestry, as we develop around the existing infrastructure, we can preserve the heritage and qualities that a preexisting tree gives to the site. This design approach has been frequently rejected due to difficulties that arise during the construction process and environmental factors the tree manifests. The majority of roots around a tree are located within the top six inches of soil, creating a large area in which foundation cannot be placed in order to preserve the tree. The tree itself then bears maintenance beyond fertilization and watering: leaf clean up, bug control, and removal upon death. These are unwanted factors that discarding the tree would solve. 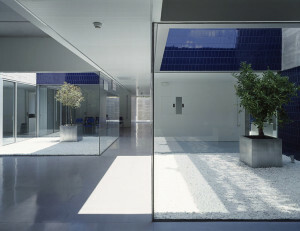 Figure 2: San Blas Municipla Healthcare Center by Estudio Entresitio, 2010. The OAS1S project by Raimond de Hullu brings sustainable architecture to city living by designing with the trees already present. 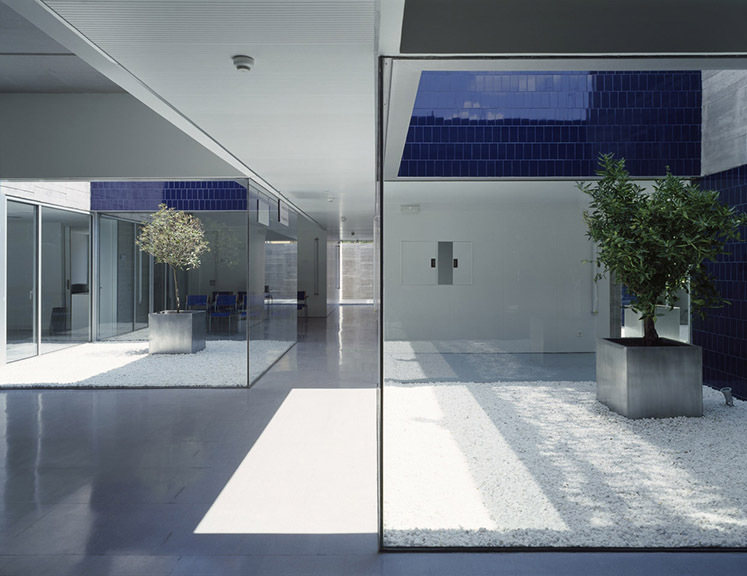 The concept enables the practice of developing into green spaces without diminishing the natural aspects around the structures. Hullu’s vision regards to the surrounding inner suburbs where development is still ongoing. 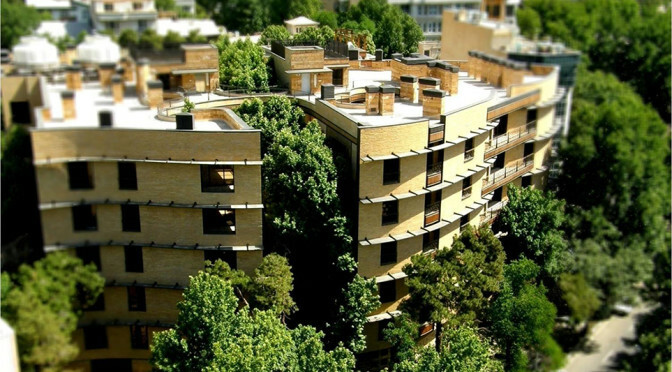 Although not in an urban context, Mohammad Reza Nikbackt’s primary goal in the Niavaran Residential Complex was to preserve the existing trees on the site and accommodate a large living facility [Figure 3]. The form of the building is manipulated by the trees’ context and adds a natural architectural dimension not seen in modern city developments. Due to the vertical nature of desert tree roots in Iran, the complex was able to incorporate more trees into the plan of this building than one could in more temperate climates. This causes a larger dilemma in cities such as New York City or Chicago where square footage is at a steep premium and a tree often suffers the consequences. Implementation of new trees into the building to replace the original ones in the site is regularly seen in proposals to save retail space on the first floor. As intended, this method reduces construction costs and opens the foundation, but disregards the implications of the additional floor space now needed by the replacement trees. Deep flooring or extrusions to maintain healthy roots need to be incorporated into the design as well as wide basins for root expansion. Maintaining the original trees may increase costs initially, but the tree already has its living system ­­­­established and using either a pervious floor or drainage system would give the ground below the new floor access to rain water (maintaining much desired floor space). Methods to retain existing trees today may be costly up-front, but the continuation of a mature tree’s benefits are not to be dismissed. The growing desire to reclaim the urban forest is an indication of their prowess. If the implementation of a conservative construction process were viewed as strongly as tree restoration, new methods of inclusion would surface, making it more economical and practical in initial construction. The realization of a mature tree’s importance needs to also encompass the protection of existing ones so the impact of the city’s goals can come to fruition before their intent is lost in the minds of supporters. Investing in urban forestry is an asset to all urban environments. Reconstructing the cityscape to adhere to more foliage in the future is important, but preserving what remains today should be a primary concern. To retain both advancing development needs as well as beneficiary factors mature trees produce, we should design with, not without, the urban forest. 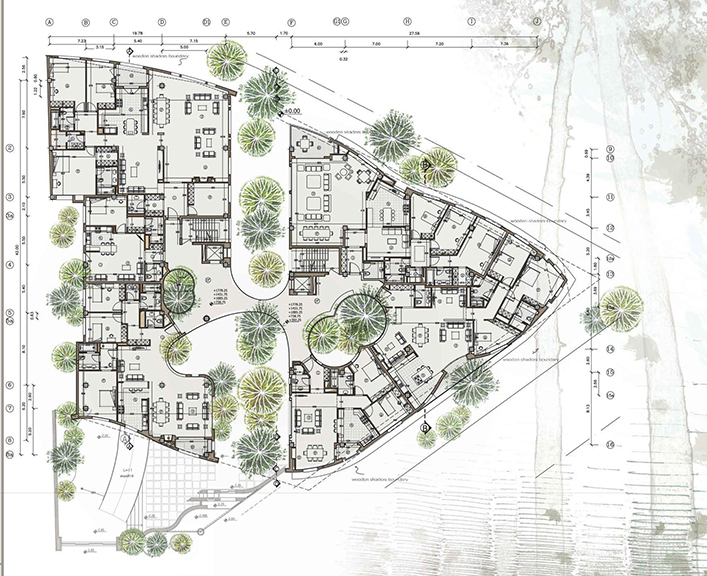 Featured Image: Niavaran Residential Complex Model by Mohammad Reza Nikbakht, 2010. Arnold, H.F. Trees in Urban Design. Van Nostrand Reinhold, 1993. Print. Bell, Simon, and Dominique Blom, Maija Rauyaki, Cristina Satel-Branco, Alan Simson, Ib Asger Olsen. “Design of Urban Forests.” Urban Forests and Trees. Berlin, Germany: Springer Science and Business Media, 2005. Print. Towbridge, Peter, and Nina Bassak. Trees in the Urban Landscape: Site Assessment, Design, and Installation. Hoboken, New Jersey: John Wiley, 2004. Print. Vo Trong Nghia Architects. “House for Trees.” Ho Chi Minh City, Vietnam, April 2014. Web. 26 September 2015.